About Kawartha Pest Control | Havelock, Halibruton, Peterborough, More! 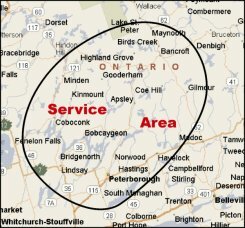 About Kawartha Pest Control | Havelock, Halibruton, Peterborough, More! Kawartha Pest Control (KPC) is solely Canadian owned and operated. KPC staff possess extensive experience of over 35 years in the pest control industry. KPC was established in 2003 as a local Northern Community based Pest Management Company serving business and residential requirements. Since its inception, KPC has grown to become the leader in the Northern Pest Management industry, providing exceptional guaranteed service throughout Haliburton, Hastings and the Kawartha Lakes. Over the years, KPC has managed to co-ordinate with the most experienced and best-trained technicians in the industry utilizing the most up to date procedures, equipment and environmentally friendly products available. Mice, rodents, cluster flies, ants, earwigs, cockroaches, bed bugs, bats, bees and more; No matter the pest, we have the solution you need! We are committed to providing your home, cottage or business with a superior professional service and guarantee at a competitive price.